I Love a Good Action Shot! | Keep It Up, David! 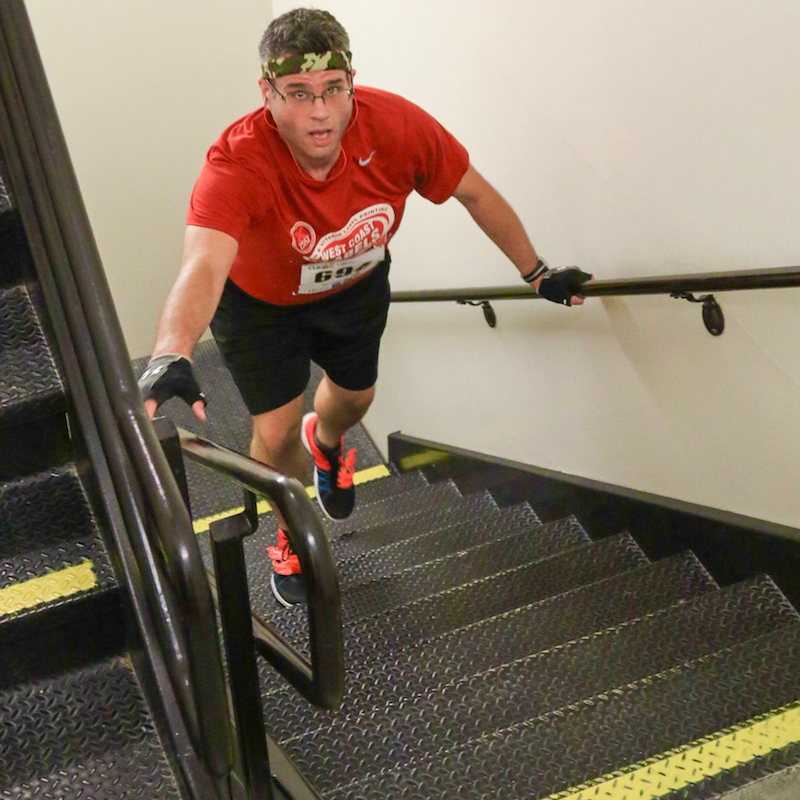 There are often photographers at the starting line or finish line, but my favorite is when they’re in the stairwell, like these photographers were. Nothing beats a good action shot. 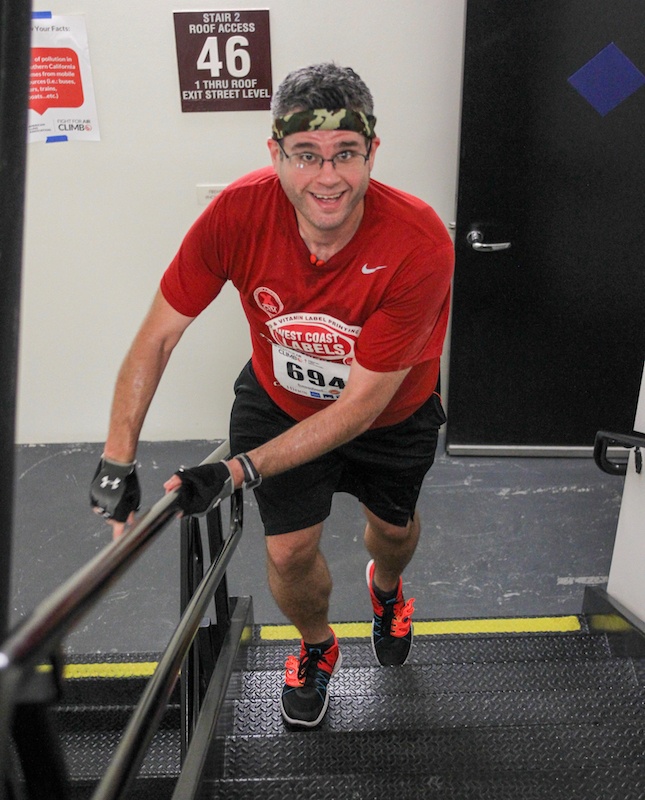 You can see in that photo that I’m at the 46th floor, and that race went to the 47th, so I’m nearly done. So why am I smiling? Shouldn’t I be nearly buckled over with exhaustion? Yes. But that photo was taken during my second climb, which was a much more casual climb for me, because I was chaperoning my nephew Eddie during his climb. I knew the photographer would be there, so I was smiling nice and wide for him. I have pictures from the first climb, too, when I was pushing myself as hard as possible to get to the top. I really like this one, because: 1) my head isn’t quite 100% in focus… because I’m moving so fast! 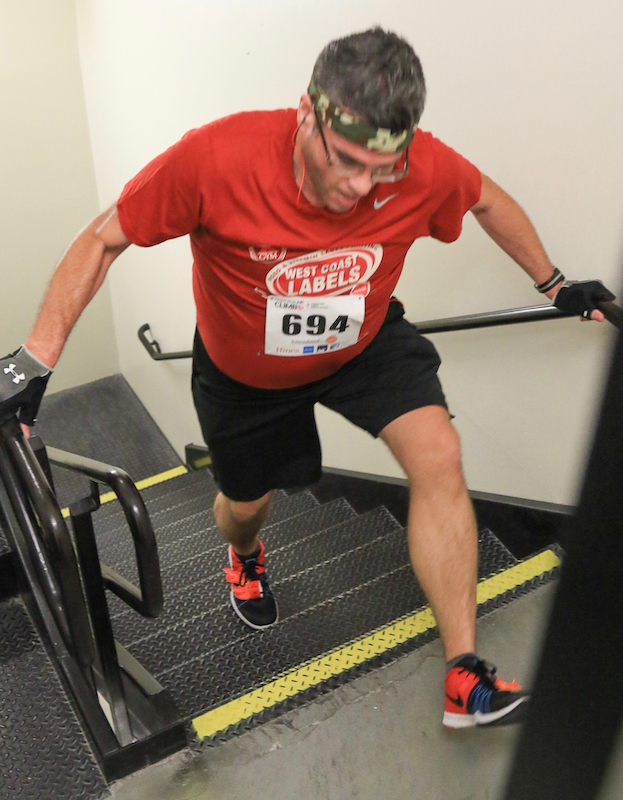 And also 2) I’m clearly double-stepping – not easy after 46 stories of climbing. A big thanks to my sister-in-law Alexis, who bought these photos for me. That was a really sweet gift, and a really nice reminder of a fantastic morning – one where I raced up a 47-story stairwell in 8 minutes, 51 seconds! This entry was posted on Tuesday, May 23rd, 2017 at 12:48 am and is filed under Uncategorized. You can follow any responses to this entry through the RSS 2.0 feed. You can leave a response, or trackback from your own site. 2 Responses to I Love a Good Action Shot! Keep it up David, Your doing a great job. Very inspiring, you got me to start recording my journey to a healthy better, and I started the stairs at my gym and thought my heart was going to come up out my mouth and fall on the floor.